Neurotically Anonymous | Wait, did I spell that right? Facebook has become a superlative nightmare. It is a competition over who can be the most thankful, the most blessed, the most happily married, most happily engaged, most happily knocked up, the best dressed, wittiest, most spiritual, most philosophical, best all around, most athletic, most provocative, most ghetto fabulous, most artsy fartsy, most likely to become a serial killer, most cute kids, most reminiscent, most opinionated, most alternatively opinionated, most political, most likely to sell all of their belongings on a facebook trading page, most likely to be so fuggin’ annoying that you unsubscribe from their post altogether. In all honesty, Facebook is way worse than high school because it is a false reality. People only post things that they want their peers to see. At least in high school, the superlatives had some fuggin hard evidence, with semi-unbiased support. The most likely to succeed was ACTUALLY the most likely, and they proved it with actions, not keystrokes. Now, whether that person succeeded or not, is another issue. And like high school, facebook annoyance grows towards those who are the “most” at anything. For example, all of those fuggin people who are competing to be considered the most happy. Talk about annoying! If you are posting about how happy you are all the time, shut up because nobody believes you. I’m not saying that I want to see more depressing posts, I’m just asking that you losers tone it down a little bit. Your blessed and happy life is the last thing I want to read. And when did it become ok for people to take mirror selfie shots again? Wasn’t that a cliché back in 2006? Mirror shots have somehow made a comeback after their painful rise to the most annoying thing on the internet back during myspace days. What superlative would I give you people who take mirror selfie shots of your abdomen? Most likely to be sexting with Anthony Weiner. If anyone feels the need to vent about annoying facebook habits, please feel free. I don’t know about you, but sometimes I get really fuggin bored at work. Ive developed a slight addiction in the process of trying to make the hours pass by more quickly. 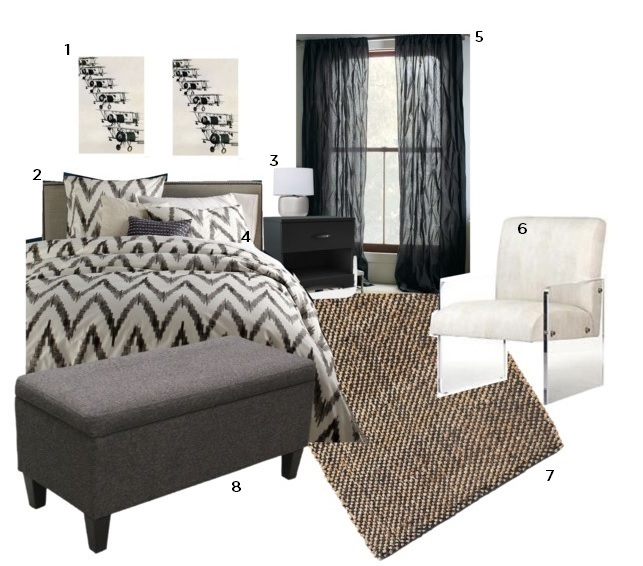 This addiction is hypothetical bedroom designing. Let me take a minute to explain. 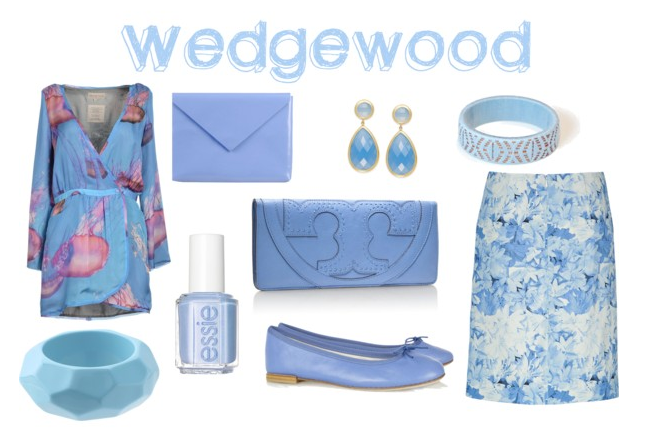 My cousin Ellen, author of this adorable fashion/lifestyle blog, The Perennial Style, got me hooked to this site, Polyvore, that she uses to make all of her fashion collages. You’ve seen them. But I bet you weren’t aware of how much fuggin’ fun they are to make. Here is an example, courtesy of my darling cousin’s blog. Ok, get the picture?? I am not the most fashionable person, but I LOVE rearranging my bedroom. Sometimes, I get a little overwhelmed when trying to imagine a room holistically. I find individual pieces that I love but when I put them all together, it never quite looks right. 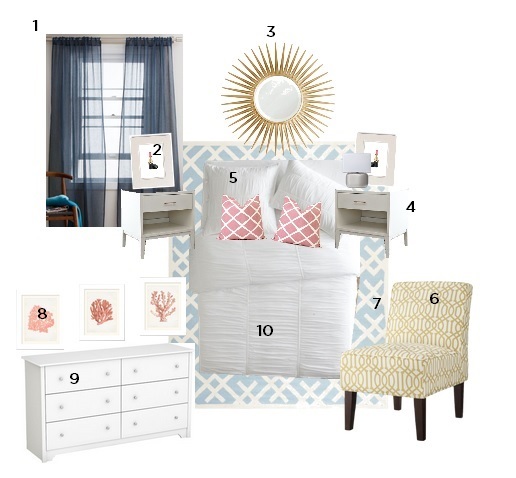 SO, I started arranging things that I liked on Polyvore and it totally got me inspired and excited to update my room. In the past, I have been really bad about having color scheme A.D.D. My room basically looked like a bunch of bold accents exploded all over the place. So I decided to simplify and stick to a few colors as opposed to MANY. I would first like to say that my all time favorite store is West Elm. LOVE LOVE LOVE LOVE LOVE! They have the perfect amount of contemporary in all of their designs and I just cant get enough. The theme of my new room is going to be mid-century modern with a little flaresky. And it all started because of this dresser. I decided that I wanted to have all of my furniture white and mid-century modern style so that my color A.D.D would have a lot of flexibility to run wild. I already had a pretty, bold ikat chair with matching pillows that I bought two years ago. Here is where Ellen came in. 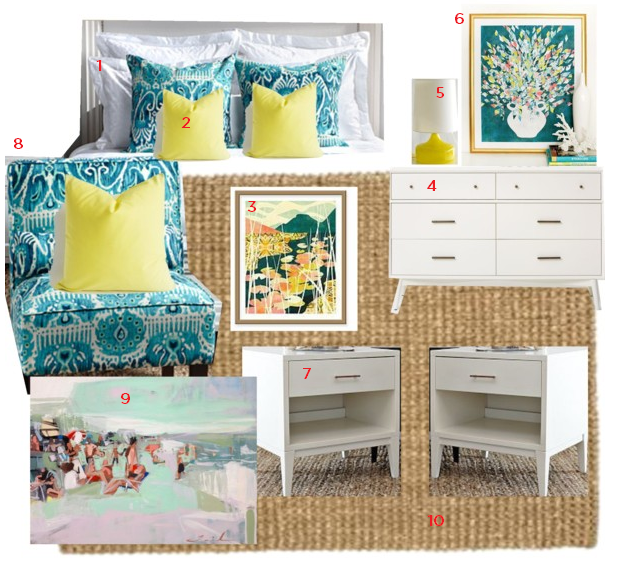 I was playing around with a few ideas for my new room and BAM, polyvore happened. This is when the addiction flared up and I started imagining hypothetical bedrooms all day long. I can’t stop!!! Below is what I envisioned for my bedroom. And these are ones I did instead of working! Goodluck getting anything done today!!!! For those of you who haven’t seen the new Netflix series, Orange is the New Black, you are missing out. The new series, written by Jenji Kohan, who also wrote the hit series Weeds, is as provocative as it is entertaining. This show is bound to clean house at the Emmys next year, you heard it here first. The show’s protagonist, Piper Chapman, is your typical blonde WASP who enjoys shopping at Whole Foods and watching Mad Men with her adorable pushover fiance, Larry, played by Jason Biggs. When the show begins, Piper is coming to terms with the fact that she is about to serve a 15 month sentence for a crime she committed during her “wild” years, when she dated a Lesbian drug smuggler named Alex, played by Laura Prepon. Piper was convicted of being a mule for drug money just 2 years before the statute of limitations for the crime was over. Aint that a Biatch! Some pretty hilarious shiz goes down during the course of her stay at the prison. Including but not limited to: becoming another woman’s prison wife by accident, being “starved out” by the head cook for insulting her food, again, by accident, and coming face-to-face with her former lover, Alex, who, by the way, is the reason that she is in there in the first place. But that’s not why I brought you here today. Yes, the show is good and worth a watch, but the real cutie of the show is a Corrections Officer Bennett, who accidentally gets an inmate pregnant during the show, but in a cute way, I promise. Then I noticed that the Buzzfeed article was written by a dude, which explains it all…. The term, Granny, suggests feelings of endearment towards one’s mother’s mother. And why wouldn’t we all feel these feelings about our grandmothers? I would first like to say that I love both of my grandmothers, they are lovely women. Both are for sure one-of-a kind. Especially, Tully. Tully is not her given name. When asked why her grandchildren call her Tully, she will tell you that her cocker spaniel, Willy (may he rest in peace), named her Tully. Her real name is Stewart, and when she met my grandfather, he said, “Stewart? that’s a man’s name! I might as well call you Cam.” And from that day on, that’s what he called her, Cam, along with everyone else (except her grandchildren). So my grandmother, Stewart aka Cam aka Tully, is truly one-of-a-kind you see. And if you don’t believe me, ask her. Before I go into any more detail about Tully, I want you to picture the character, Weezer, from Steel Magnolias. Got it? Carly Rae Jepsen Throws Embarrassing First Pitch. What is more embarrassing than the fact that her name is Carly Rae? This is my Tartingle for the day. Carly Rae Jepsen Throws Embarrassing First Pitch. My new found love of vegetables has decreased my meat intake. DO NOT mistaken what I just said for me turning vegetarian again. Last time I tried that, it turned out badly. Devouring a bag of beef jerky at 3am after a month long vegetarian kick was scary. I guess you could say that I try to compliment my veggies with meat, as opposed to the other way around. Anyhow, the reason for this affirmation is I have found the BEST seasoning on planet earth for fish, steak and chicken. Hold up, I’m realizing that those two thoughts barely relate. Whatever. I was cruising through Whole Foods with my pops on Fathers Day, searching for some good ole fashioned steaks, and the meat man recommended an “all around” seasoning. When he said that he used it on EVERYTHING, we were sold. I normally will buy chicken at the store and grill it on Monday and eat throughout the week, complimentary to my veggies. I doused my chicky breasts in this Borsari Seasoning Salt and slammed it on the grill. The end result was pretty spectacular. This will definitely be a long time staple for me. I just felt compelled to share. Also, a friend dropped by in the middle of my grillin’ and said “omg, what the hell did you put on that chicken, it looks awesome.” Naturally I felt cool. I am also crushin’ on this iced tea. The Hibiscus Sangria is my fave. What I like about it is it doesn’t even need sweeteners of any kind. The natural flavor is good enough! I wont be presumptuous and apologize for not posting for the last 3 months. I wont make excuses either. Im just going to start posting again like nothing ever happened. I want to share what came of the “diet.” After completing the first round of the cabbage soup diet, I saw drastic results. Over those painful 7 days I lost about 9 pounds. IT. WAS. AWESOME. However, like everyone warned, I pretty much gained it all immediately back. Wah wah. But I mayyyy have gotten a little addicted to the soup and made the soup every other week for the last three months. And I will say that I eat a lot more vegetables and fruits now and have changed my diet completely. SO THATS GOOD! On the other hand, Do I go crazy on the weekends and order takeout from my fav. mexican restaurant? Yup. LIKE YOU WOULDNT BELIEVE. Have I lost any weight? mehhh, it depends on what day you are asking me. Did I get the meat sweats over the 4th of July Holiday? uh huh. It is all relative people. Also, I watched Mermaids: the body found, last night and I have been thinking about it all damn day. Mermaids are real! If you ever wished that you could breathe under water, or you are like me and actually believed you could breathe under water during a psychedelic weekend in college, you should buy it on iTunes for $2.99. This shiz is cray.